In the 1880s miners arrived in Terlingua to produce cinnabar, a mineral from which the metal mercury is extracted. Starting with around 2000 inhabitants in the mid-1880s, the population grew to nearly 3000 by 1903. Terlingua really boomed in 1914 as Allies needed mercury for explosives in WWI but mercury demand tapered after the Great Depression and the town slowly died out. 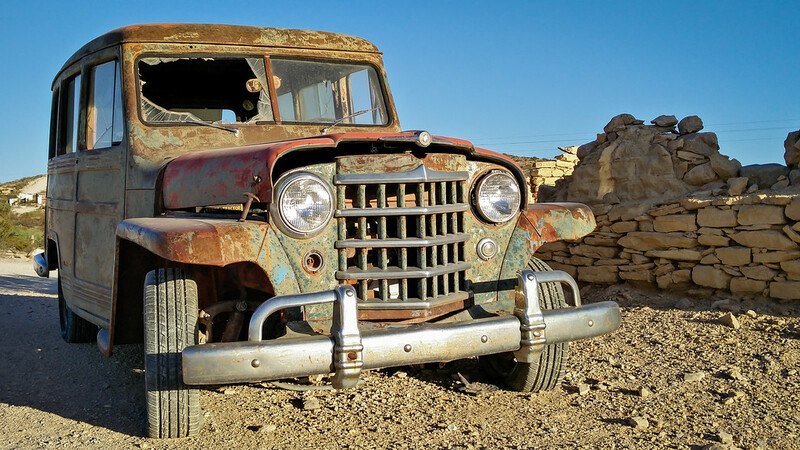 Given the few remaining ruins, it is hard to imagine so many people once populated the harsh desert environment. 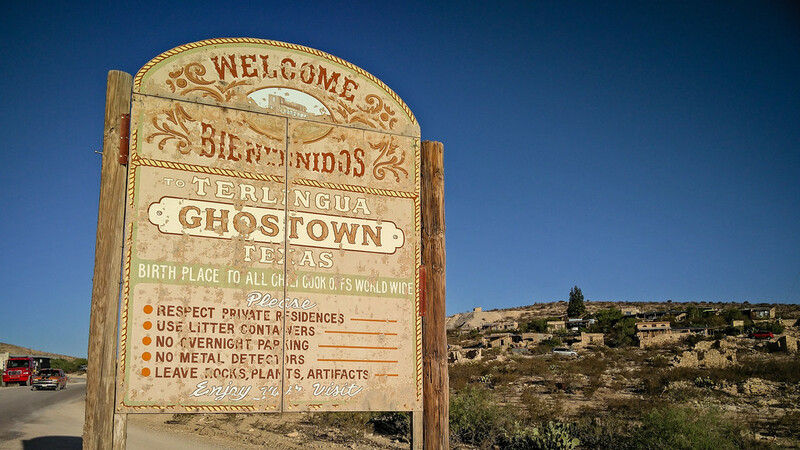 Terlingua now hosts a population of around 60 people, mostly catering to tourists. 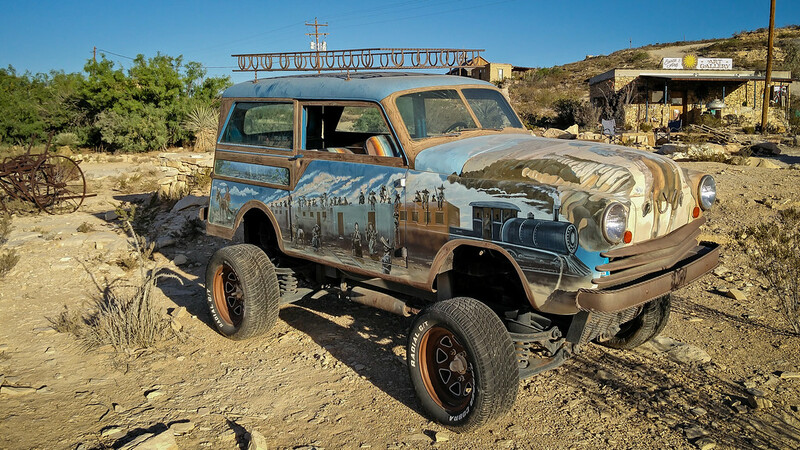 The hamlet of Terlingua is fantastically weird in the most appealing of ways, making it the perfect place to stop or stay when visiting Big Bend National Park or Big Bend State Park. We first went to Terlingua because we needed a place to camp and there was no availability in Big Bend N.P. over the long weekend. 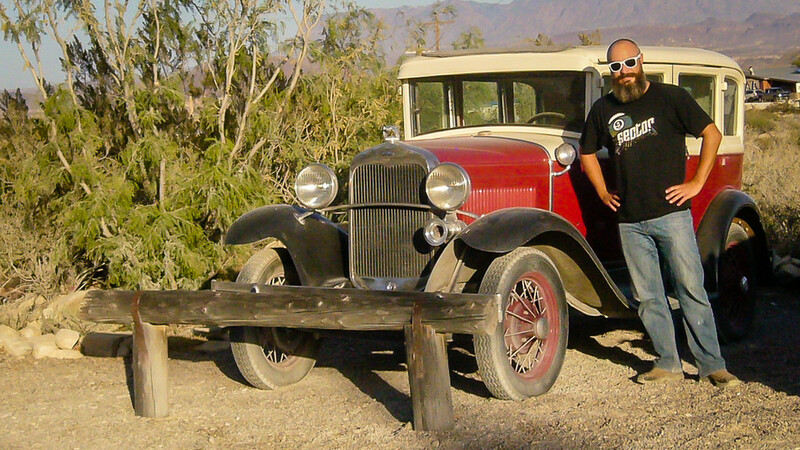 After spending the first night in Terlingua, we decided we liked the hamlet so much that we stayed a second night. A basic campsite cost $20/night but it was a short walk from the center of town and an even shorter crawl from The Boathouse Bar. 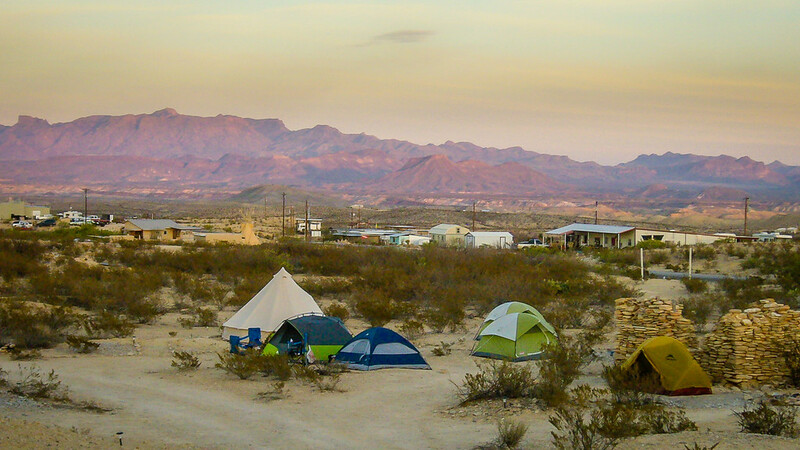 Although we really enjoyed camping and hiking in Big Bend previously, camping in Terlingua was an equally fantastic experience and I’d highly recommend spending a night there. We set up our tent next to an old ruin which acted as a wind block and added to the eeriness of the experience. If you’re not sure who to pay for camping, pop into The Boathouse and they’ll point you in the right direction. 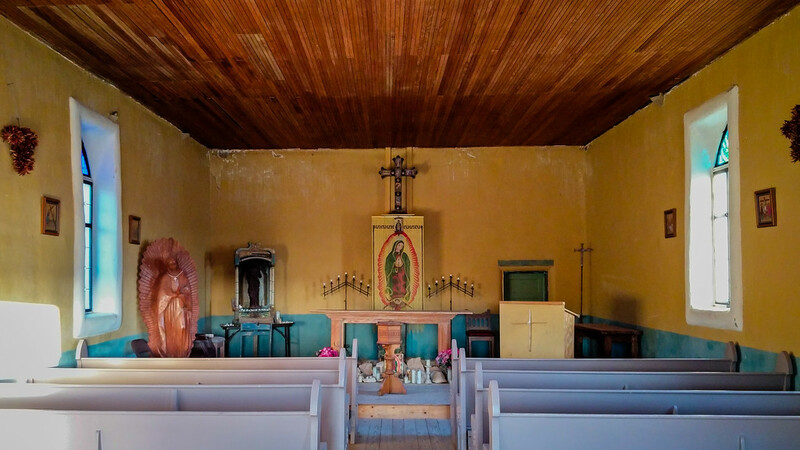 If you’re looking for a more comfortable place to stay, there are several hotels and lodges in Terlingua, including the well-appointed La Posada Guesthouse. It must have been tough living in Terlingua in the late 19th century. 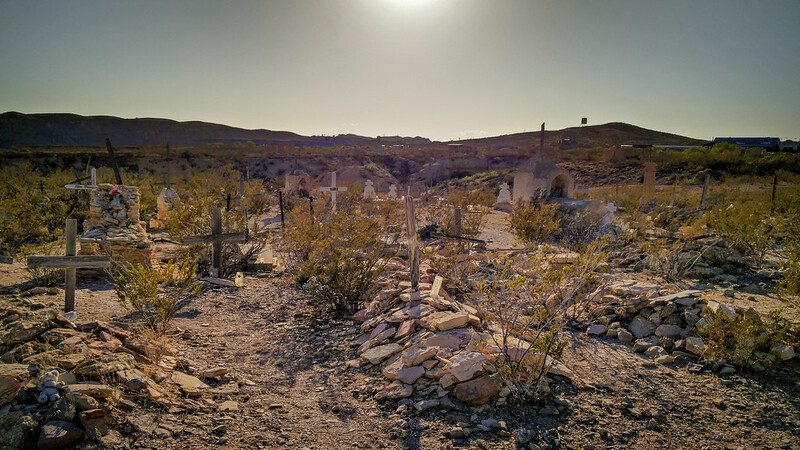 Between the hot and dry climate, lack of food and water, and potential of mercury poisoning, it’s no surprise the cemetery is full of graves. The cemetery is still used today and people gather on November 2nd each year to celebrate the Day of the Dead. Terlingua claims to be the birthplace of all chili cookoffs worldwide. On the first Saturday of November, nearly 10,000 “chiliheads” convene in the hamlet for cookoffs. Interestingly, Carroll Shelby (famous car manufacturer) was among the founders of the first chili cookoff in 1967 as he owned a massive ranch (890 km2) nearby. We were unable to attend the cookoff but it certainly sounds like a great time! 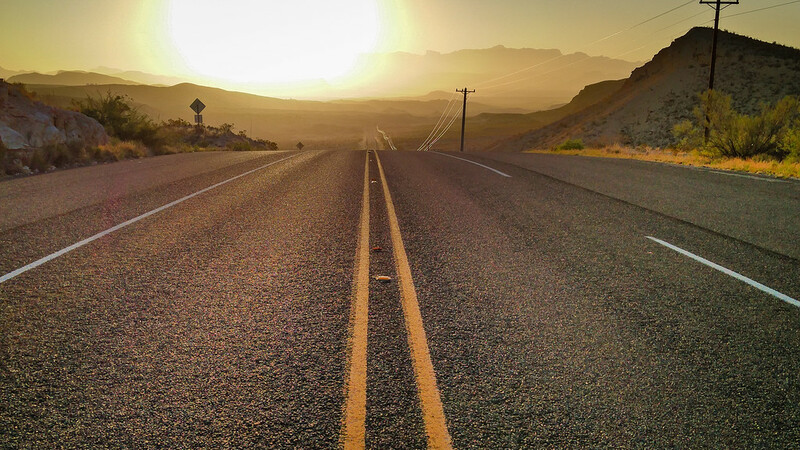 Terlingua’s awkward beauty is enhanced by the warm glow of a low sun. After setting up camp, we walked up Solitario Saw Mill Road, to the water tanks on the hill, for a view over the hamlet. 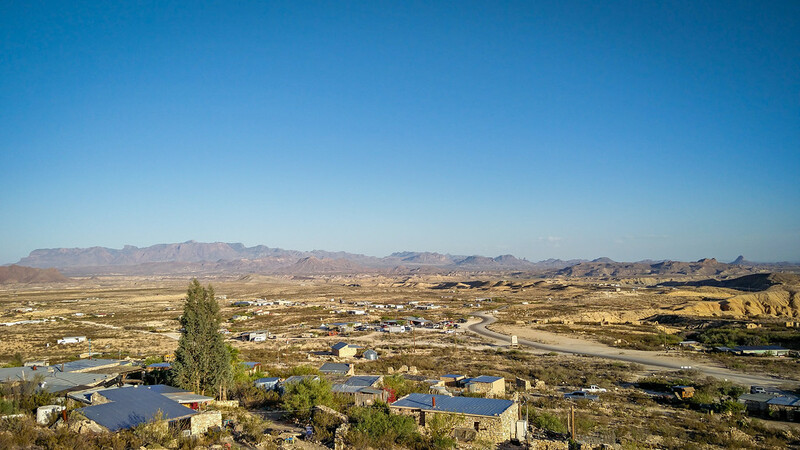 On a clear day, the view goes on forever and it puts into perspective how remote Terlingua really is. 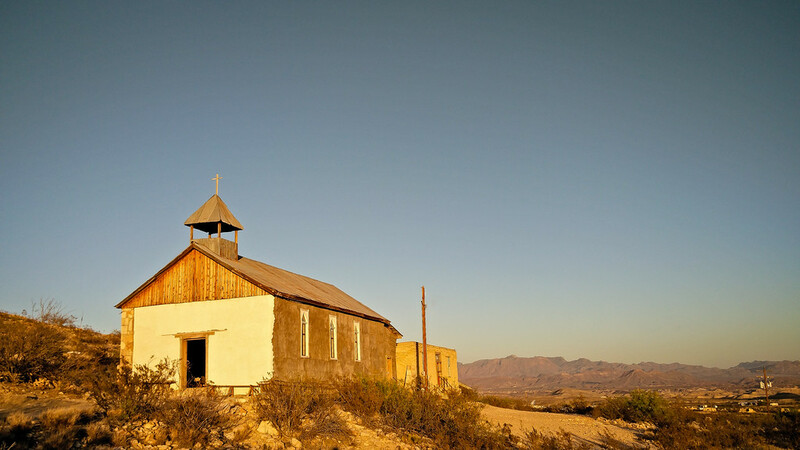 On the way down from the hill, we stopped by Terlingua’s church. The church was open so we also went inside. Although I don’t generally enjoy churches, it had profound charisma and I experienced an emotional response being inside. It was a strange feeling I haven’t had before, even in the world’s largest and most decorated churches. Eerie stuff. Terlinguans are eccentric people and they have created some pretty strange things out of junk. There are numerous sculptures and other vintage things laying around, including a few cars that actually look good. Despite Terlingua’s small size, there are at least two great places to get your eat and drink on. 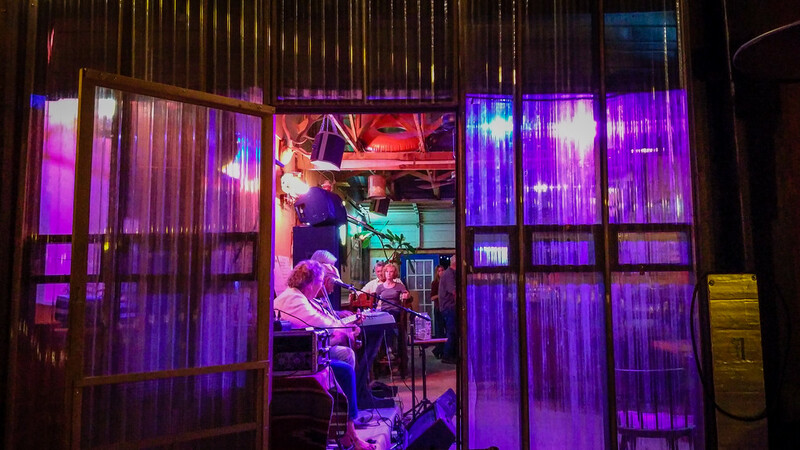 Both places feature excellent live music in the evenings and people tend to let loose, West Texas style, ensuring a memorable visit. Nothing really happens on the porch. That’s the way we like it. People come. They don’t do much. Sit. Talk. Sip a beer. Maybe sing. Watch the sunset. The Starlight Theatre is definitely the tourist darling, but Sara and I preferred the Boathouse Bar as it was a more popular hangout for locals. On both Friday and Saturday night, the Boathouse featured great music acts and we loved the fact it was right next to the campground. Unfortunately, I’ve heard the Boathouse has closed so your options are now limited to the Twilight Theatre and High Sierra Bar & Grill. 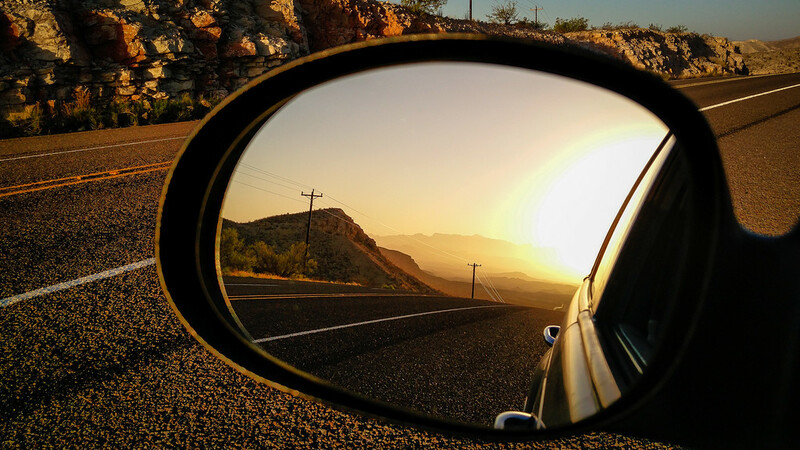 Terlingua is a tough town to leave but, given the fact it’s nestled in between Big Bend National Park and Big Bend State Park, it doesn’t take long until you’re smiling at the beauty of West Texas again. Once you’ve experienced this wonderful Texan town once, you’ll yearn to return. Until Next Time, My Old Friend….